It's certainly been a while since I have looked at a CPU cooler, but as I have the Core i7 860 CPU in my possession, I get to give Jason a break as I look at the Thermaltake Silent 1156 CPU Cooler today. 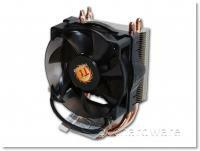 This is one of Thermaltake's inexpensive coolers that is developed for a single platform. Many coolers come with enough hardware to mount on any system made in the last 3 years, but the Silent 1156 is designed for LGA1156 CPUs only. This helps keep the price down to a mere $29.99 MSRP and provides you with much better cooling at a lower noise that the stock Core i7 860 HSF. Stick with us as we take a look and see how much better this cooler is than the stock HSF. We expect it to be quite a bit better, and hopefully it will be as silent as they claim. 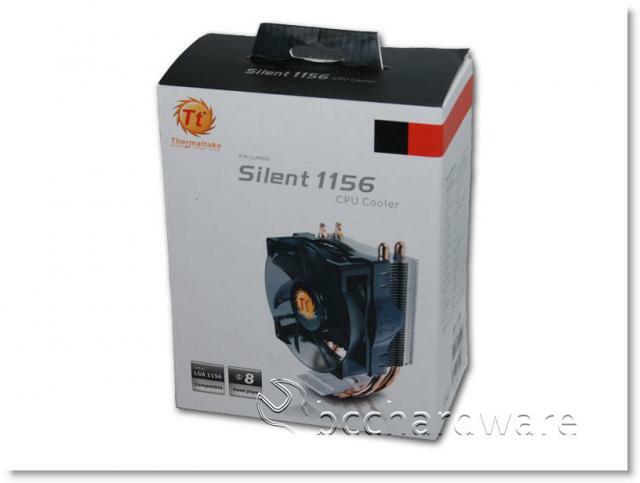 The Silent 1156 is not a revolutionary new design in terms of heatpipe coolers. 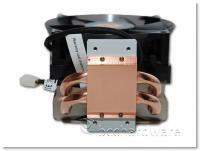 It has a standard tower design that incorporates some large heatpipes, a 92mm PWM fan and not much else really. As this is designed for a single socket, Thermaltake doesn't have to include a ton of other hardware bits in order to make it work on every platform. The downside to this is that if you recently bought a Socket 1156 system and are now drooling over a Core i7 980X 1366 system, you'll also have to spend a bit more money on a different heatsink. Although the Silent 1156 is much larger than the stock HSF, it isn't nearly as large as many other enthusiast-oriented heatsinks on the market today. 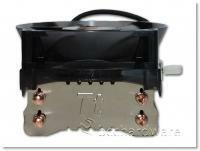 As you can see above and below, the design is pretty standard and the heatpipes are indeed larger than many other units. In theory, this should help transfer heat well. We'll see later on the in review. The bottom finish is nothing remarkable. It isn't polished and it certainly isn't very rough. For testing we use Arctic Cooling MX-3 thermal paste and it seems to work very well on this cooler. I'm sure that the included Thermaltake paste is adequate as well. To keep things consistent however, we always use Arctic Cooling's MX-3. In order to get a better idea of the size and scale of this heatsink, we have a side-view that shows the actual fins are not much broader than the fan. 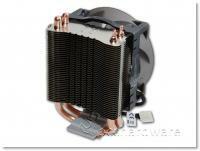 This makes the heatsink relatively light and it won't strain your motherboard. Thanks to its light-weight, it uses the standard Intel Socket 1156 (and 775/1366) mounting system with quarter-turn pegs that provide a consistent mount each and every time. To keep the box nice and slender, Thermaltake doesn't mount the brackets on the Silent 1156 for shipping. Instead, they include them in the bundle and require you to use four screws to install them on the base of the heatsink prior to installing it in your system. If they had these mounted during shipping, the installation of this cooler would be perfectly and absolutely painless. As it stands, it requires tools - even though it uses standard mounting brackets and doesn't require motherboard removal. This may seem petty, but it would be much nicer to be able to pull it out of the box and simply drop it in place. On the next page we'll take a look and the bundle, some features and specifications before we install it onto our toasty little Core i7 860 CPU.